Joy D comes from the town of Elk River, Minnesota, USA. This roombox was inspired by her sister’s enthusiasm for William Morris, the English artist and writer. 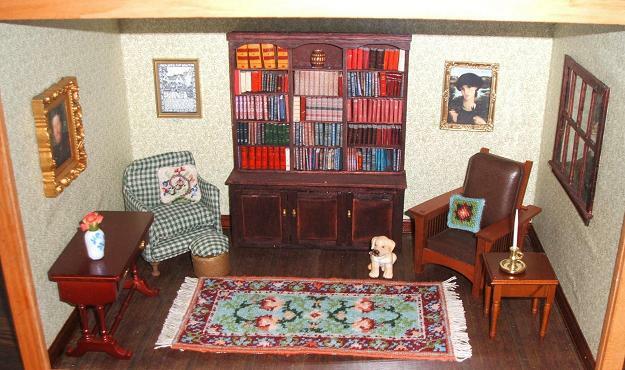 It has two miniature embroidery kits from my range in it – the carpet is the “Carole (jade)” kit, and on the green-checked chair on the left hand side of the room is the miniature cushion “Tree of Life”.